The TARDIS sits quietly on a London street. 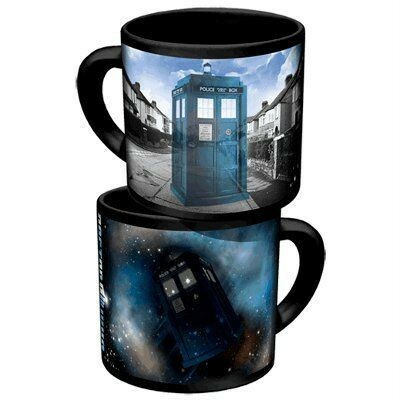 Pour in coffee or tea and watch as the TARDIS travels to distant galaxies on the other side. Holds 12 ounces.